The high-intensity dust storm caused damage to dozens of homes, knocked down power lines, and delayed few flights. The storm also blew off roofs, uprooted hundreds of trees and electricity poles. “The dust storm was stronger than expected. 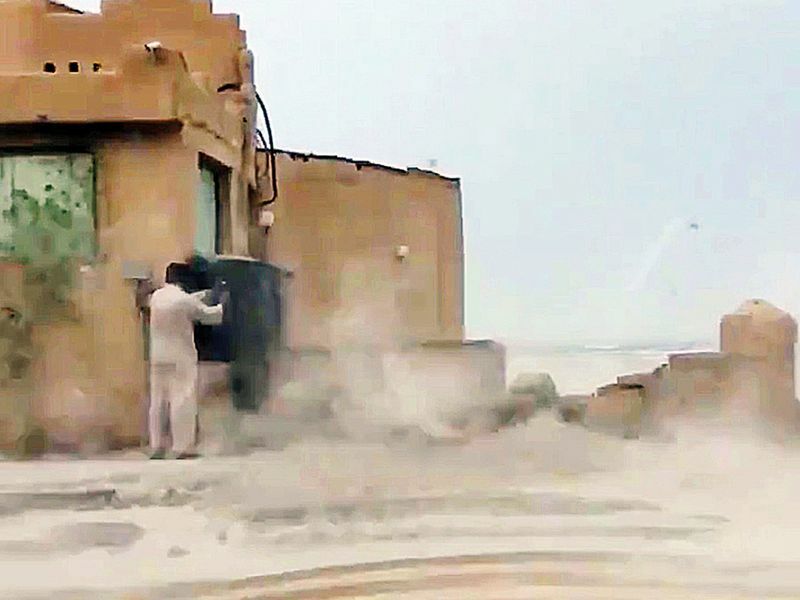 Winds blew at a speed of 65km/h and reduced the visibility to 500 metres”, according to Pakistan Meteorological Department (PMD) Director Sardar Sarfaraz. The storm was the result of “westerly wave” which is likely to grip upper parts during next 18 to 24 hours, according to PMD, which has also predicted rainfall across the city. 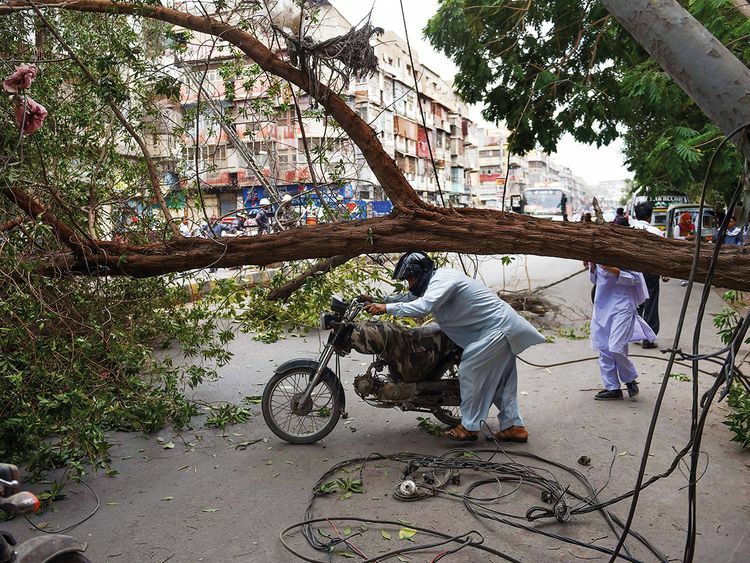 At least five people died on Monday as several parts of Karachi were battered by gusty winds accompanied by a light rain. “Some 46 people had been brought to the hospital with different injuries”, and one of them had passed away last night, Jinnah Postgraduate Medical Centre (JPMC) head Dr Seemi Jamali, told media. According to Rescue 1122 officials, a five-year-old girl was killed when the roof of a house collapsed and another child was killed near Mazar-i-Quaid when she was struck by a falling tree. Five students were injured and rushed to a nearby hospital as the roof of their school located on Tipu Sultan Road collapsed, rescue officials said. Multiple road accidents were also reported due to reduced visibility and gusty winds. Several people were also injured after an electric wire broke and fell on a parked van that caught fire. Traffic accidents were also reported along the Karachi-Quetta highway where a police vehicle, five passenger buses and a truck all flipped over due to the strong winds. Later, citizens were advised not to go near Karachi’s coastline where a fishing boat has been missing and Pakistan Navy was called in for the rescue efforts. Sindh Chief Minister Murad Ali Shah has directed municipal authorities to begin rescue efforts and advised the hospitals to stay on alert. He urged the city authorities to take care of the vulnerable residents of the city who live in temporary shelters. Met Office has forecasted light rain on Monday and thunderstorm on Tuesday in Karachi. Many other parts of Sindh and elsewhere in the country can also experience similar weather patterns in the coming two days.